When one thinks of PTSD they might picture a man that once wore army green trying to cope with the horrors of war but many times it can be a plethora of other tragic scenarios that carry the same heavy weight. “Post” meaning “after”. After tragedy. After the incident or incidents that have caused a lasting stress disorder. It’s heartbreaking & hard to fathom if never personally experienced. Research shows that those with posttraumatic stress disorder have a lot to worry about, and apparently, stress-related symptoms could also be damaging the teeth. This can be the reason why you have been grinding your teeth every night and your face could likely feel sore the following day. Likewise, an oral health assessment of patients suffering from long-term posttraumatic stress disorder has revealed that these people have erosion of tooth surfaces. Not just that, they are also more susceptible to gingivitis, tooth plaque, and gum disease. 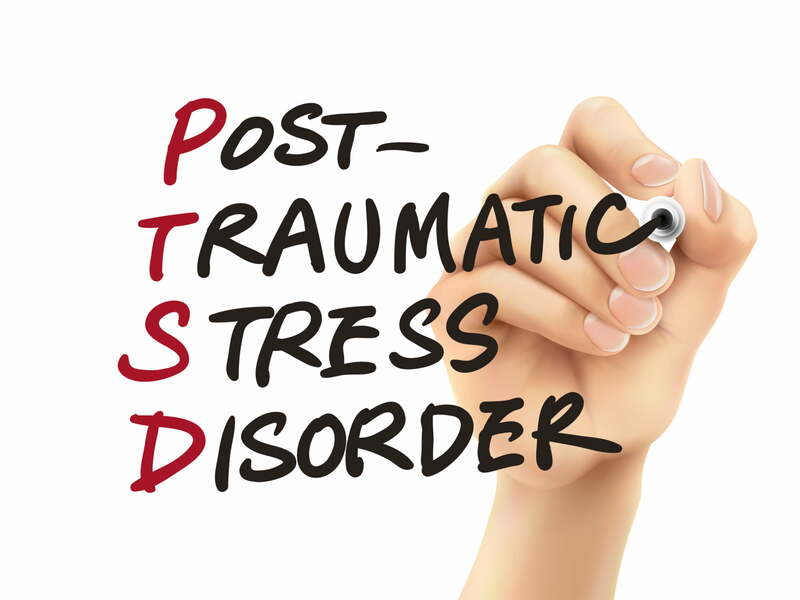 Those with PTSD also exhibited an increased erosion both horizontally and vertically near the gum line and biting surfaces. It’s suggested that the wearing away of tooth surface, together with the neck of the tooth where the enamel meets the root surface has something to do with teeth clenching and bruxism. Wherein, the lifetime occurrence of some orofacial pain was brought by daytime clenching or nighttime bruxing that’s usually caused by emotional stress and anxiety attacks. Wherein, 10% of the adult population dealing with this type of pain develops TMJ disorder (temporomandibular joint disorder) or chronic orofacial pain syndrome. This leads to tooth fracture or damage of tooth wear. Interestingly, many of those who suffer from bruxism were also diagnosed with PTSD, and the type of medications they used to treat this problem often makes bruxism worse. It has been suggested that those who have suppressed anger release this at night by grinding their teeth. This is a natural reaction that cannot be controlled unless the anger gets eliminated during the day. So, once the person is already sleeping, his mind tries to look for a way to release the tension brought by anger, and this leads to grinding of the teeth. Anxiety comes in different forms. For some, it’s generalized anxiety disorder, while for others, it’s a combination of depression and anxiety. Anxiety is usually suppressed or hidden. Wherein, bruxism is the brain’s way of releasing the tension cause by anxiety. The brain tries to escape anxiety by grinding the teeth. Everyone experiences stress, and some of us end up struggling with long term nocturnal bruxism while others will notice it periodically (not consistently) at times of particular stress throughout life. Those who live with a constant high level of stress because of family problems and work will more than likely experience the effects of jaw clenching or teeth grinding at some point. There are a number of ways on how you can lessen the occurrence of bruxism, while combating the symptoms of PSTD. There are two kinds of bruxism treatment. One eliminates the symptoms of the disorder, while the other one treats the disorder itself in a way where it lessens the occurrence of the symptom. – Massaging the neck, jaw muscles, and face to alleviate the tension on trigger points. – Using a warm compress on the jaw for 10-15 minutes a day. – Visiting a bruxism specialist and/or chiropractor. – Using muscle relaxants to relax the jaw. – Doing exercises to relax the jaw. – Consciously relaxing the face and jaw all throughout the day. – Not chewing gum or other tough object. – Purchasing a mouth guard specifically made for teeth grinding. Night guards are mouth guards worn at night in order to protect the teeth against grinding. This type of mouth guard is different from what athletes wear. Wearing a night guard for grinding at night will not stop the action but it will prevent teeth damage because it would be the guard that would take all the grinding instead of direct tooth on tooth contact. – Using warm compress on the jaw. – Placing the thumb below the chin; while opening and closing the mouth. The thumb should stay in place. – Positioning the finger inside the mouth and letting the jaw go slack. Meditation can be one of the best ways to lessen stress. This can be done by focusing on your breathing– breathing in and out slowly and deeply. While doing this, try to visualize a tranquil environment; this can be a grassy hill or deserted beach, a beautiful tree, etc. Keep it simple and note this is a practice. You get better at it the more you do it. Aside from your physical well being, regular exercise is also good for your mental health. It can be a way to release your frustrations, and by being physically active, your body would also be releasing endorphins– mood enhancing hormones. Yoga is perfect for those with PSTD as it is effective in reducing anxiety and stress. You should be spending your time and energy on important tasks, and whenever you can; try to break up larger projects into smaller ones– this would make it easier for you to accomplish. Also, try to delegate the task as much as possible. Believe it or not, playing soft, calming music can lower the blood pressure and relax the mind at the same time. Sleeping recharges the brain and it also improves one’s concentration, mood, and focus. If you can, try to lend a helping hand to a neighbor or relative in need. You can also take part in community projects. Helping others would take your mind off your stress, anxieties, and worries. Although (to date) there isn’t a permanent cure for bruxism and PSTD, know that both of these can be managed. By following the useful tips discussed above, the symptoms will eventually lessen and you wouldn’t have to spend a fortune for expensive dental work. And remember this– Our lives are a reflection of our thoughts. That’s the truth. Are you listening to the radio? Play some motivational videos on Youtube instead. Get out of your own head. Keep learning. Keep fighting & keep that head up. Your life can be anything you want it to be. You are presented with choices every single day. Be your own hero. You decide. You decide everyday.